The company has its own forge and engineering shop in which it manufactures bespoke ironwork. Products range from small forged and cast door fittings to heavy riveted iron gates, architectural castings and estate fencing. 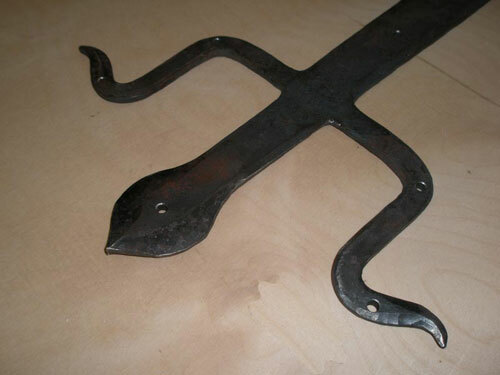 The Company also has its own pattern shop and carries out cast iron welding repairs. 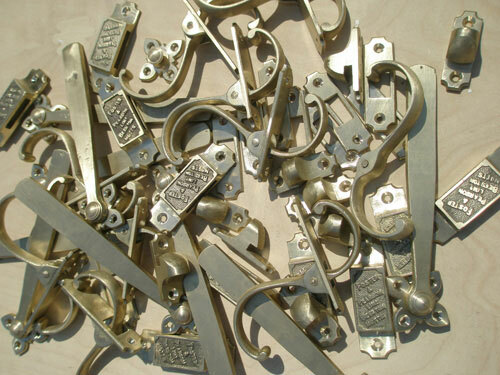 Ironmongery, Jameson Joinery is a ironmongery manufacture company for corporate or private clients in the UK Sussex including London, Horsham and all the other surrounding areas. Hand forged door latch with anti-balance latch finished in burnt wax. 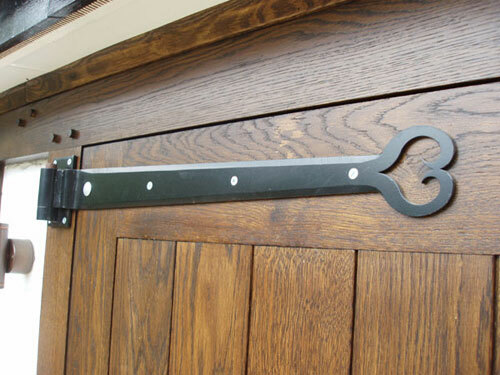 Plasma cut hinges - a cheaper option than forging but very effective. Edge chainfering is carried out by hand. 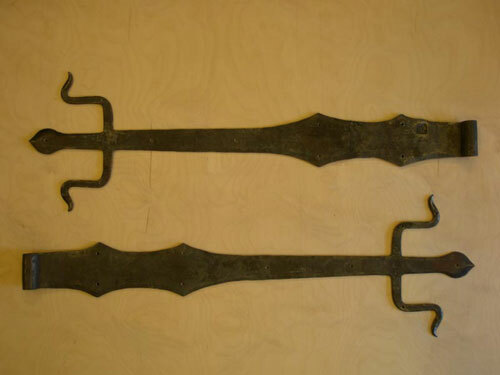 Hand forged and fine welded hinges made to a 1623 design from Mammouthshire. A detail of the previous photograph. 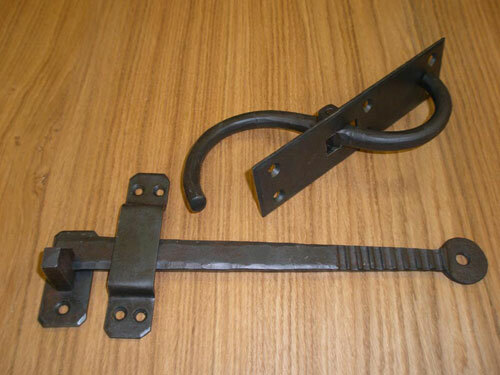 A Batch of Glasshouse door furniture produced for the Sister Company Foster and Pearson Ltd.